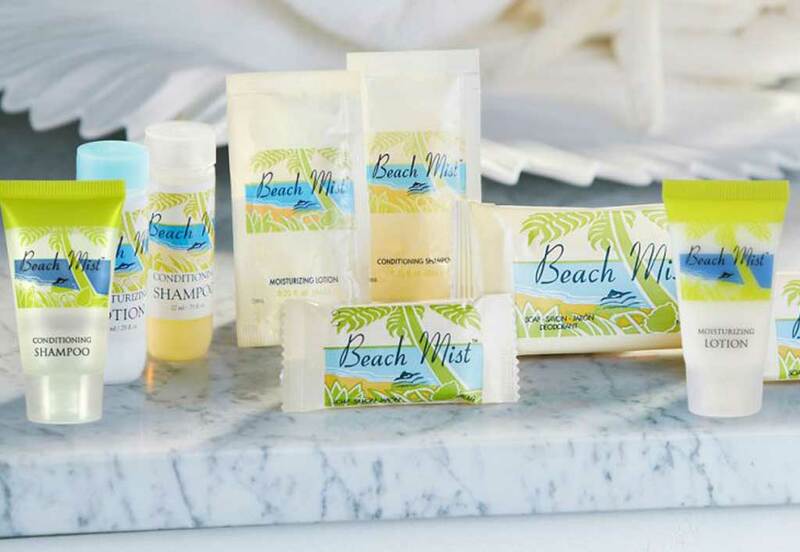 Transmacro Amenities’ Beach Mist soap and amenities collection has been one of our most popular lines for many years. This popular collection designed with a beach theme transports customers to a sunny and beautiful beach! A perfect amenity to place in any of your customer rooms. This line evokes thoughts of peace and tranquility. Especially environments near the seashore or some other beautiful body of water. A pleasantly mild scent and the smooth foamy feel make this value item a great buy. Your customers will appreciate the rich and moisturizing comforts Beach Mist provides as well as the outstanding price point. For an exhilarating experience that will leave your customers refreshed, hydrated and replenished, use Beach Mist bar soap. This unique soap offers a mild and gentle experience that will keep your customers coming back for more. It’s fresh and light scent is sure to be a memorable experience for your customers. There is nothing better than a relaxing day at the beach! Let Transmacro Amenities’ Beach Mist soap and amenities take you away. Who doesn’t love hair that feels clean, smells clean and shines with radiance after a relaxing day on the seashore? Our gentle formula will provide a clean and softness to your customers’ hair that can’t be beat. Beach Mist Moisturizing Lotion is a light and silky formula that users love! This soft and luxurious formula keeps customers coming back for more. Many users of Beach Mist Moisturizing Lotion, inquire as to how they can order for use at home. Your customers will thank you!